When our war on terror began in 2001, I recall an interview on CNN by an American reporter covering the campaign in Afghanistan. He was speaking to a soldier of the Northern Alliance through the help of an interpreter. In the course of the interview, the reporter drew a map of the United States and a decent map of the globe to explain to the soldier that he was an American from the Northeastern part of our country and also to give this soldier an idea as to where the United States was situated in relation to Afghanistan. After awhile, the reporter realized that his drawing made no sense to this soldier because the soldier had no idea that the world is round. It was amazing. This soldier had never been told or taught that the world was a sphere. The reporter, understandably, took this for granted. The reason I began with this little aside is to demonstrate the fact that many persons, Christian and non-Christian alike, take the story of today's Gospel for granted as well. It's a narrative with which we are perhaps all too familiar. So, we do well to take a closer look - to open up the Scriptures and see what was really going on. In a sense, we could say that the story of the Incarnation - God becoming man - begins as a crisis pregnancy. We have Mary - a pregnant teen. She's betrothed to Joseph. What did "betrothal" mean? In Judaism, it was customary for a man and woman to marry formally but not to come together as husband and wife for up to a year after the wedding. In the meantime, the husband would go and make a home for the couple, so as to provide for his bride. So, Mary and Joseph were married at this point, but not living as husband and wife just yet. As you can see, this tradition is markedly different from our Western tradition of marrying and consummating the marriage right after the wedding. And what of St. Joseph? Can you imagine the look on his face when he learns that Mary has become pregnant not by another man but by the Holy Spirit? Joseph knows that he's in a tough position - Mary's situation is an embarrassment, by all human accounts. By human standards, Joseph knows what everyone else will think - Mary can only have become pregnant through adultery. This fact means that Joseph risks harm to his personal and professional reputation - it would mean that he had a married a woman of ill-repute, showing poor judgment in his choice for a bride. Who would ever believe the story that Mary had become impregnated by the Holy Spirit?! The Jews hadn't even heard of the Holy Spirit! Yet, we know that Joseph was a righteous man. It means that he was a man who knew what true justice was - to give God and others what they are due. He wants to protect Mary from Jewish law, which would have condemned her to a death by stoning - the penalty for adultery. At the some time, he wants to have a fresh start, perhaps with a new wife, so he decides to divorce Mary quietly. There's another way of understanding this. It has been asserted that Joseph chose to divorce Mary quietly not because he was afraid of the possible capital punishment that awaited her or because his reputation would be marred. Rather, Joseph wanted to divorce Mary because he knew who Mary was (the Mother of God) and he didn't think himself worthy to be God's foster father. It is no wonder why we associate St. Joseph with virtues such as humility and meekness or self-possession. In the end, of course, we learn that it is through the intervention of an angel who appears in a dream we hear about today that Joseph takes up the courage to follow through on God's plan - to not be afraid. Again we have Joseph's justice manifested to us - he wants to do God's will, so he obeys. In effect, we have both Mary's "Yes" at the Annunciation and St. Joseph's "Yes" to the angel's message to thank for getting us through what could have been a catastrophic beginning to the whole plan of redemption. We should not overlook the fact that God Himself chose such precarious means to have entered the world - to have entered time in the way He chose to do in the person of Jesus. Some theologians argue that God could have chosen any number of ways to save us. He could have easily appeared to a great number of people who could corroborate the same story and have declared that the world was suddenly now saved. Christ could have descended to earth in the adult form and made a similar declaration. Yet, He chose to save us in the way He did and that has made all the difference. Human existence would never be the same - God has taken on our humanity in the form of a humble, vulnerable and innocent child and has elevated our humanity to a new dignity, not seen since Adam and Eve before the Fall of Man. God humbles Himself to take on our existence, not only to give us an example of how to live, but to redeem our world in its totality - that is, all of creation is renewed and reborn. 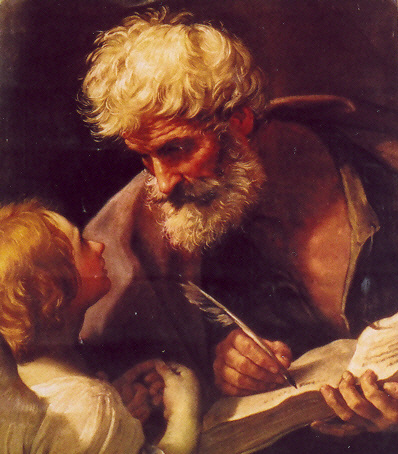 St. Matthew notes that all that was to take place would be to fulfill the words of the prophet Isaiah - which we read in our first reading and is quoted in the Gospel. Isaiah tells us that the child's name shall be Emmanuel - God is with us. Indeed, God actually condescended to take on our humanity. May we never forget the awesomeness of this mystery! No other world religion makes this kind of claim - that divinity would take on humanity in order to redeem it. In our second reading, St. Paul speaks of our Lord's connection to King David. St. Joseph is a direct descendant of David - it's the reason why he goes with Mary to register for the census decreed by Rome. Bethlehem is the city of David's birth. Incidentally, Bethlehem means "House of Bread" - a direct allusion to Jesus as the Bread of Life. David, the great king of the Old Testament era, would now give way to the King of Kings, Jesus the Lord. As Christmas approaches quickly, I invite each of you, in a spiritual way, to go to Bethlehem. Pay close attention to what you see and what you hear and what you feel. It is cold. It is dark. It is poor and it is VERY humble. 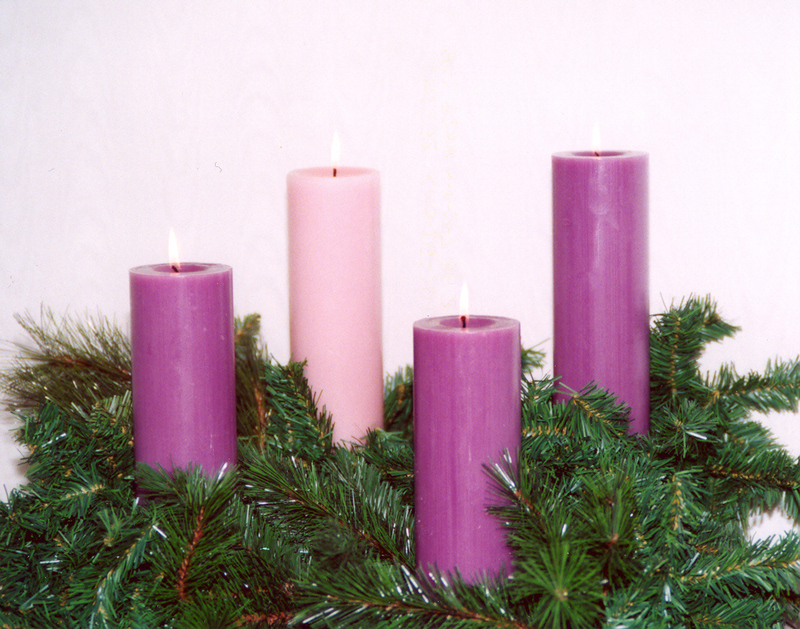 Yet, in the serenity of that silent night, there is majesty greater than that of King David. It is at long last the completion of what Isaiah had prophesied so many years ago - a savior is born to us. He is like us in all things but sin. The soldier I mentioned at the beginning of my homily, who was interview on CNN in Afghanistan didn't know that the world is round. Sadly, many in our land have lost sight of the obvious fact that the reason for this season is Christ Jesus - not "Happy Holidays" and not "Season's Greeting." Like St. Joseph, who showed great courage in the face of a world that would have been hostile to Jesus and Mary, let us have the fortitude to proclaim our certainty of the fact that Jesus is the Son of God and the Savior of the world. He is the Lord of Lords and the King of Kings and His dominion shall have no end!